No matter where you live, a hot tub is plain fun and enjoyment, especially in the cooler months of the year. When the snow falls and you are in the heated, jet filled depths of your hot tub you cannot deny the benefits of a hot tub. Hot tubs bring therapeutic benefits as well as relaxation. Imagine soaking after a long commute or taking a dip to get the chill out of your bones on a cold, snowy day. Talk with your hot tub contractor from Imperial Pool Builders about hot to keep your hot tub operating in top condition year round. Whether you enjoy your hot tub for its hydrotherapy benefits or because you enjoy the heated water or the soothing action of the jets, we can help you make a decision on the best hot tub for your family’s needs. 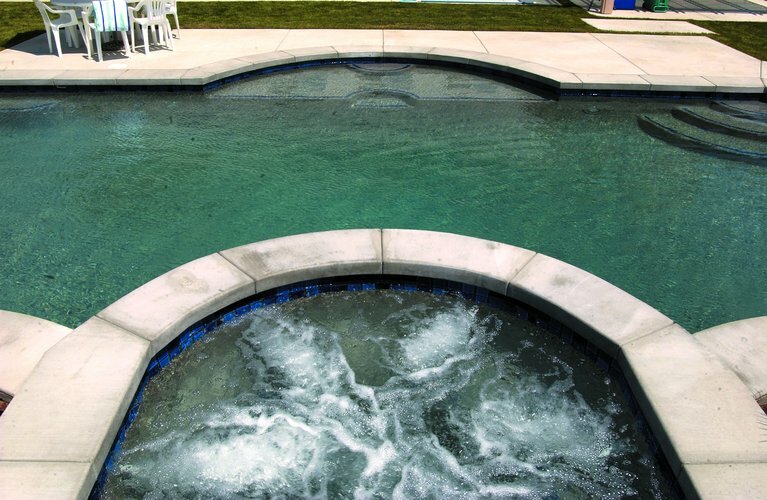 Warm water, circulated by the jets of a hot tub have both physical and emotional benefits. The heated water elevates the warmth of your skin and causes blood vessels to expand. The more expanded your blood vessels, the easier your blood flows and this helps move toxins from your body. To aid in the detoxification process, drink plenty of water before and after a soak. The heated water and the action of the jets can loosen your joints and muscles. Regular use is key. Use the hot tub several days a week, whether you ache or not. That way, the warm water and its healthy results will act as a preventive to future soreness. Many people find regular spa usage a way to beat sinus congestion. Instead of using medication, take a soak. The heat and steam increases circulation, clears sinus passages and keeps your sinuses clear. Anyone who suffers from arthritis or other joint pain find regular hot tub therapy keeps pain at bay. When you’re shopping for a hot tub or spa plan to wear a bathing suit so you can sit in a hot tub in the showroom. You will want to determine the kind, and placement of the jets and you can only do that if you’re in the water. There are myriad styles of hot tub jets and you need to decide before you make your purchase what benefits you want to reap from time spent soaking.